It’s logical to start with the breakthrough record “Hertz-Recreate”. At that time 2003, Hertz was very much in demand and the requests came from all over to do EPs and remixes. One of them came from Umek and Valentino Kanzyani. They already used some of my songs on mix compilations and I really loved their label “Recycled Loops“, so it was easy to accept. So I did 4 tracks for the EP titled “Look Back To See The Future EP“. As the title hints, there were fragments of classic sounds in my production and this records was played by basically all techno-DJs all over the world, including Adam Beyer, Chris Liebing, Christian Smith, Umek…yeah, the list goes on. And many of them did their own re-edit of the stand-out-track “Recreate”, where the break was extended. One of them was DJ Montana, who did one that DJ Tiesto, voted nr 1 DJ in the world 3 years in a row back then, picked up and played on main stage at the huge event “Inner City 2003” in Amsterdam. Reports from people on location all told the same story; when that record was played, the whole event erupted. The rumours spread fast and that “Montana Re-Edit” was licensed and released on vinyl in 2004. 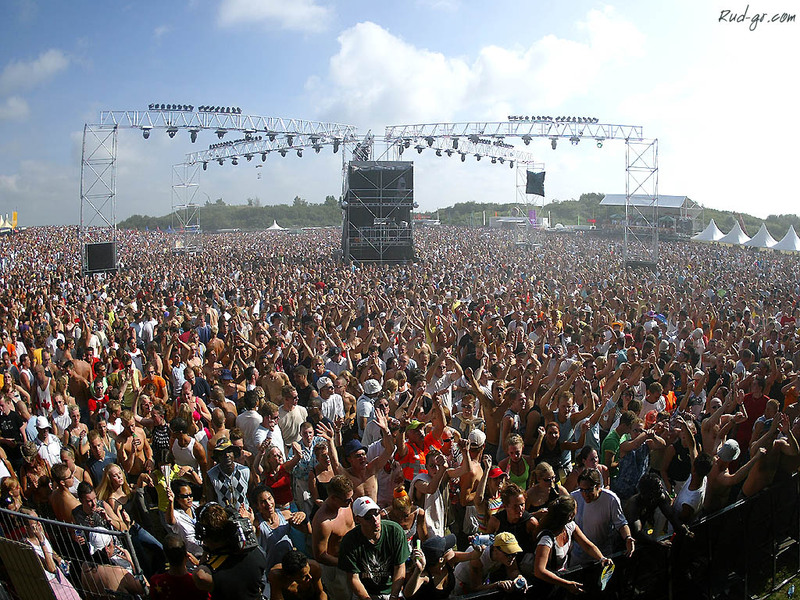 Dance Valley, one of the largest festivals in the world, used it as their theme song for the festival in 2004. Carl Cox used it as the final track on Dance Valley 2004, viewed by millions on YouTube, and it now has a spot in the techno history. “Hertz-Recreate (Montana Re-Edit) is now, for the first time, available on digital release. Included on “Sway – The Catalogue 2 – Remaster 2013”. Hertz – Recreate (Montana Re-Edit) soon out digital. Remember this? The classic “Hertz – Recreate (Montana Re-Edit)” here played as the final track of Dance Valley by Carl Cox, will soon be available on digital format for the first time.